One of the most beautiful buildings I’ve ever had the luck of dining in is a Nando’s restaurant in London. Nestled in between London and Southwark Bridges, it has views of the Thames River and St. Paul’s Cathedral. There are brick walls and arches, and incredible windows. It is like the Oyster Bar at Grand Central only above ground. It is a space dreamed up to be photographed, the type of building where people pay thousands to get married. And in one of the vaulted booths overlooking the Thames, I sat with a group of friends late one Friday night. We were the masters of the universe with a bill under 40 quid. Nando’s is a chicken restaurant, a global South African chain that specializes in peri-peri sauce. It is an African riff on Portuguese grilled chicken with a sauce from Mozambique. According to its origin story, and that is how the website reads, like destiny, Fernando Duarte and Robbie Brozin opened the first restaurant in Rosettenville, South Africa in 1987. (The name is a truncated Fernando). We are told they only cared about fun and chicken; the money meant nothing. Improbable then, that they expanded overseas just three years later. 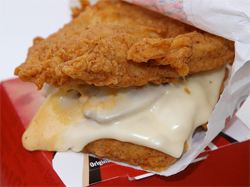 But still, they managed, and in 1992, the United Kingdom’s first Nando’s opened in the West London suburb of Ealing. Nando’s entered the British market at the exact right time when fast, casual dining was exploding in the UK, and there are now more than 60 restaurants in London alone. Except for the sharing platters, most items are priced between seven and 13 pounds, but to call it fast-food feels wrong; it doesn’t seem the same as McDonalds or even Pret A Manger, places known for being quick and cheap and (occasionally) good. Nando’s is all those things, but it also has a following unlike any other fast-food place I’ve ever heard of. To a degree, this is because Nando’s has marketed itself well. On the one hand, it’s casual enough to be relaxed without feeling like a budget option: there are still waiters and china plates even if you order at the counter. It seems to be a place for and of the people. Grime musicians regularly rap eloquently about the chain in spare, unsentimental songs. Skepta claimed it was his favorite restaurant; Stormzy got his own eponymous burger — the #Murky which comes with halloumi — added to the menu (Cypriot in origin, halloumi is itself another celebrated English treasure). But on the other hand, there is the Nando’s High Five Card, which is as exclusive as a black AmEx and even more elusive. It is rumored to offer a year of free meals, reportedly owned by celebrities like Zayn Malik, David Beckham, and Andy Murray. And ages ago, Ed Sheeran tweeted, “Just got a black card from Gourmet Burger Kitchen. This and my Nandos card are the two best things I own. I love food.” The company continues to deny the existence of such a card. Nando’s is that high school girl who is beautiful and knows it, but still wants you to eat lunch with her anyway. The first time I ate at a Nando’s was in Oxford. 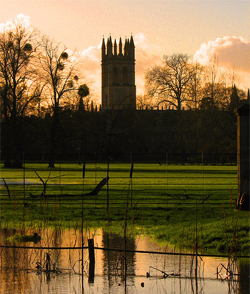 I was studying art history, a thoroughly Oxonian degree, aesthetic, useful, useless. I had moved in October and Oxford in autumn is exactly like the BBC’s adaptation of Brideshead Revisited: golden foliage, tuxedos, riding side-saddle on a bike rack. It looks like how Received Pronunciation sounds. I wanted everything I did, ate, touched, to fit within a Romantic, invented landscape found in literature and movies, whole worlds entirely different from my California upbringing. By the new year though, the magic had dulled. It was Hilary term, the short, bitterly dark days of January and February. You come to understand why the English drink like they do when it is so black outside that the only way to not go crazy is to sit in the pub. When it gets dark by four p.m., the days all start to bleed together, so I don’t remember if it was a Tuesday or a Saturday when I was first brought to Nando’s. Nando’s on George Street is nothing special and that night was nothing special either. We stumbled in, a group of four in a sea of students, tipsy and starving. Nothing particularly memorable happened; I ate a portion of mushy peas, drunk on too much mulled wine and the beginning pricks of belonging. 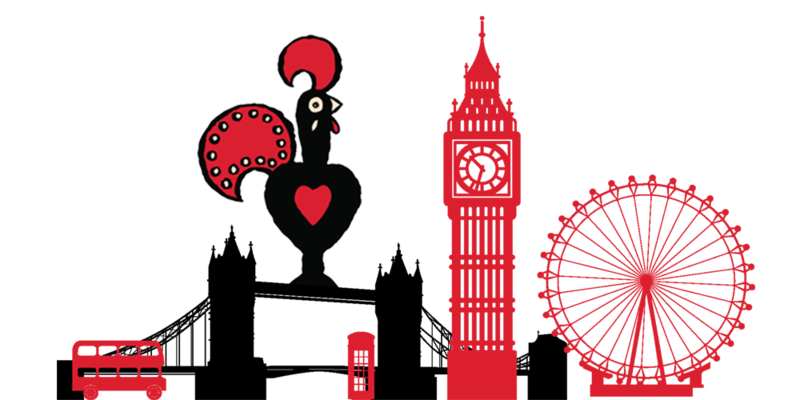 As an identity, a melting pot, Nando’s seems to embrace all the things I loved most about life in pre-Brexit London: that a Portuguese chicken by way of South Africa could become as English as fish and chips. So much so that Nando’s was featured on 21st Century Mythologies, the BBC’s Radio 4 program hosted by Peter Conrad. 21st Century Mythologies is an updated version of Roland Barthes’ Mythologies, a series of essays in which he analyzed cultural icons and investigated the ways we make myth; Nando’s in on par with Greta Garbo, the Citroën DS 19, a perfect plate of steak frites. 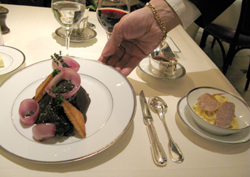 Its inclusion suggests that the restaurant offers something universally recognizable and shared. In a country that remains deeply classist, where Prince George (supposedly) does not wear trousers because they are (supposedly) suburban, where words like sofa and supper reveal your economic status, Nando’s seems to bridge all class divisions. Skepta grew up on a council estate; I ate there with friends from Oxford, an institution that traffics in heritage and privilege. Many of the individual restaurants are Halal which makes Nando’s a popular choice for the UK’s large Muslim community. 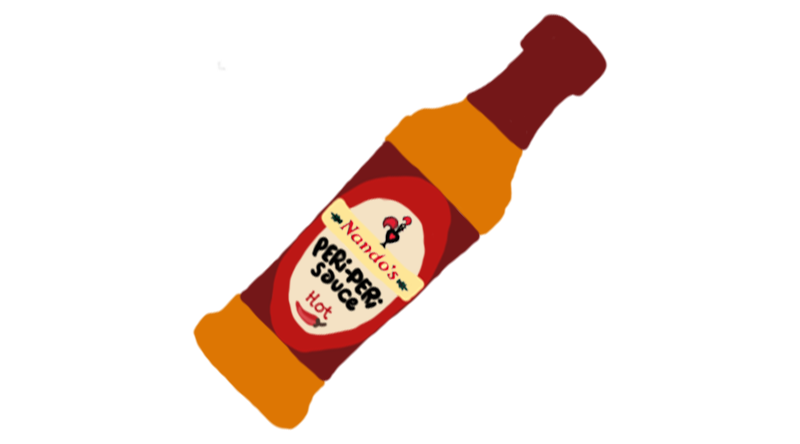 And lest you think the choice to dine is an ironic one, do not be fooled: people are gaga for peri-peri sauce. While traveling in New Zealand, a friend of mine made his vegan girlfriend stop for lunch at one of the Auckland restaurants; he had left his life in London over five years before, but still really, really missed the fries. Like its bubbly and optimistic origin myth, there is something wholly sincere, and wholly unifying, about seven-pound chicken. Still, despite its status as a global behemoth, Nando’s has yet to gain similar traction in the States. Even though the restaurants are profitable, and more are slated to open, it has yet to penetrate our collective consciousness. The United States is just so large and unsolidified. American as apple pie, American as hamburgers, American as peanut butter; the list is too long to latch onto any one thing and grows longer every day. My local Nando’s in Kentish Town marks the turn towards the swimming pool and the Overground station. It is always crowded on Friday nights, but also on Tuesdays and Thursdays, for lunch and dinner. Certainly, some of my interest is purely neighborly, the comings and goings on the streets closest to home. My inability to pierce the magic makes it even more intriguing. But I suspect my complete captivation has more to do with my own malleable sense of self and the way the most mundane things become landmarks when everything is novel and strange. Over the past few years, England has become my home. Part of living overseas means learning the customs of the people, the minor bits and bobs that distinguish local from tourist. I have learned to pre-order gin and tonics for a show’s interval, how to say interval instead of intermission, how to queue endlessly without question, how to bleed a radiator. Whenever I fly home to California, I forget which side of the road the cars drive down; I bask in the softness of towels that are dried by machine; for days, strangers’ speech sounds shrill and jagged. I do not have an accent, but a cadence which ebbs and flows depending on where I am and who I am with, and it takes time for my language, my posture, to settle and re-assimilate. Still, I laugh too loudly. I chat too much with my local green grocers. I wear sunglasses no matter the weather. I am a Californian and not a Londoner, and these identities may move towards each other but ultimately remain asymptotic, the circles of a Venn diagram that cannot totally overlap. Great read. I found it because I have a google alert set up for “Nando’s new york city” and this article triggered it. It’ll be a fine day when that alert isn’t a false alarm.